Melatonin Gummies work in harmony with your natural sleep cycle to give you the tranquil rest you deserve, so you can awaken feeling refreshed. ** Inspired by the natural rhythm of life, Melatonin Gummies are an ideal choice for people experiencing occasional sleeplessness, those with jet lag, or those seeking to improve their quality of rest. ** Our Melatonin Gummies are a delicious alternative to swallowing pills. Natural Strawberry flavor. Contains 60 gummies. Directions: For adults, chew one (1) gummy only at bedtime as Melatonin may produce drowsiness. Other Ingredients: Glucose Syrup, Sucrose, Gelatin, Citric Acid, Latic Acid, Color Added (Black Carrot Juice Concentrate), Natural Flavor, Fractionated Coconut Oil (Containing one or more of the following: Beeswax, Carnauba Wax). Melatonin Gummies is rated 4.7 out of 5 by 3. Rated 5 out of 5 by acowing from great These taste great! I will buy again. Rated 4 out of 5 by KarenGH from Good and effective This product is easy to take and seems to be absorbed well as it is very effective for me. I like that there are no artificial sweeteners. 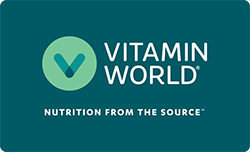 I do wish Vitamin World would certify that it is non-GMO since corn syrup is used. Rated 5 out of 5 by joel from they taste good and work well I thought gummies were for kids, but not now. These are good for a change of pace. Shopped at your store in the Foothills Mall, Tucson, AZ. Good service and a knowledgeable salesperson. I will buy another bottle once the current bottle is empty.